The process of DNA repair, controlled by special enzymes, is central to keeping our cells cancer free. Mistakes in DNA repair can lead to cancer. But they also present opportunities for treatment. Today at the San Antonio Breast Cancer Symposium, MSK Radiation Oncology Chair Simon Powell discusses new DNA repair–targeting treatments coming down the pipeline. Thousands of breast cancer researchers and physicians from around the world are gathered this week at the San Antonio Breast Cancer Symposium (SABCS). One topic that is sure to garner a lot of attention is DNA repair. The two most famous genes associated with breast cancer — BRCA1 and BRCA2 — are involved in the DNA repair pathway, and drugs targeting this pathway are now a promising avenue of treatment. The first drugs of this type to become available were PARP inhibitors. The FDA approved the PARP inhibitor olaparib (Lynparza™) in 2014 for the treatment of advanced ovarian cancer in women with inherited BRCA mutations. Clinical trials of PARP inhibitors in women with breast cancer are ongoing. To find out more about the current status of treatments that target DNA repair pathways, we spoke with Simon Powell, Chair of Radiation Oncology at Memorial Sloan Kettering. Dr. Powell is an expert in the molecular biology of DNA repair and is speaking on the topic today at SABCS. We interviewed Dr. Powell in advance of his talk. PARP inhibitors block the PARP enzyme, which is abundant and ubiquitous in the nucleus of cells — including cancer cells. It’s almost like a first line of defense when there is any kind of disruption of the DNA. When a nick occurs in the DNA, or something causes it to get a little out of joint, the PARP enzyme is activated to repair it. If PARP is inhibited, the nick stays open for longer. This nick is almost like a gap in one rail of a train track. 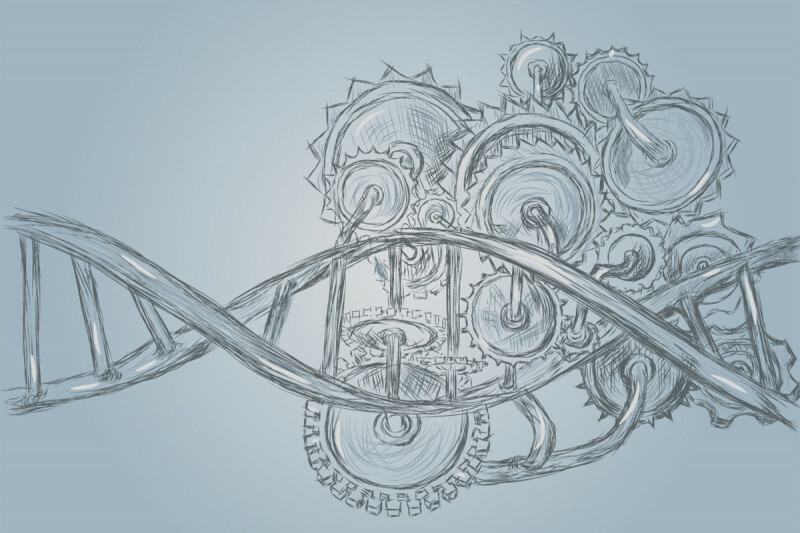 When the cell’s DNA replication machinery is careering along the DNA tracks, it doesn’t realize that one side of the track is interrupted, and it gets derailed. At that point, to fix the damage, you need a process called homologous recombination, which is the pathway that BRCA1 and BRCA2 control. If homologous recombination is impaired — as it is when someone has a mutation in one of these genes — then you can’t fix the damage and the cell will likely die. That’s why PARP inhibitors are an effective therapy for BRCA-mutated cancers: They lead to DNA damage that the cancer cells can’t repair. You’re giving a talk called “Beyond PARP Inhibitors.” Can you explain why we might need to go beyond these drugs? The problem with being broadly active in DNA repair is that inhibitors of this enzyme may cause more DNA damage than you want them to. One of the concerns is that if you start accumulating nicks in your DNA, it might have carcinogenic consequences ten years down the road. What I’ll be talking about at SABCS is our efforts to understand these backup pathways that come into play when DNA damage occurs that needs the BRCA homologous recombination pathway to fix it. Can we be more specific in the way we target the backup pathways, such that the treatment causes less DNA damage, but still kills the cancer? There are about four different backup pathways. If you inactivate any one of them, it significantly enhances the cell killing. We’re interested in targeting backup pathways that in normal cells don’t do much — which means that removing this pathway is completely nontoxic in normal cells. But if you target the pathway in a BRCA-deficient cell, then it becomes very toxic and kills it. My lab has worked extensively on a backup pathway driven by a protein called Rad52. We’ve screened libraries for drugs that target Rad52, and we’re right now testing them for activity. It’s still at a relatively early stage in drug development, but we do have drugs that kill the BRCA-deficient cells. They show a 30-fold increased toxicity in the BRCA-deficient cells relative to the toxicity in normal cells. BRCA mutations are best known for causing “inherited” cancer. Are they involved in sporadic cancers? Yes. Cancer genome sequencing has shown us that BRCA mutations also occur in sporadic cancers. Cancer cells usually have two defective copies of these genes. What we’re learning is that homologous recombination deficiency is a common cause of cancer, and is not limited to those who inherit these types of mutations at birth. We think that about 20 to 25% of all breast cancers have a homologous repair deficiency. It’s quite prevalent in other cancer types too. This is about more than just BRCA1 and BRCA2. There are lots of actors involved in this DNA repair pathway. BRCA1 and BRCA2 are the most well known and they helped highlight the pathway. But in genetic testing panels, we’re now testing for an expanded panel of about ten to 20 genes. I think five years from now we’ll be testing 50 genes, all of which can contribute to this pathway. What do we know about why inherited BRCA mutations seem to predispose people to breast and ovarian cancers? In the case of inherited breast or ovarian cancer, usually a person is born with one defective copy of the gene. They still have a functioning copy of the gene from the other parent, which is usually enough to make DNA repairs — until something else interferes. Nobody really knows the answer as to why one defective copy of the gene predisposes people to breast or ovarian cancer. This has been a hot topic for 20 years. I think it probably has to do with hormonally driven growth that occurs at critical points in life. There is something about having only one copy and then being put through hormonally driven growth stress that impairs the repair pathway. In medical jargon, we call it haplo-insufficiency. The big question in the field is what happens to get from one mutated copy to two mutated copies? Tumor cells pretty much always lose the second copy. But something must trigger it. One idea that we are pursuing is that the rapid cell proliferation that occurs at puberty or at pregnancy can bring out this weakness of having just one functional copy. But that’s just a hypothesis. What would you want a patient with a DNA repair mutation to know about research coming down the pipeline? The important thing to know is that having a cancer with a very specific DNA repair defect, created by a gene a person has inherited, creates a major opportunity for turning that defect into an Achilles’ heel for the cancer. PARP inhibitors were the first drugs to provide proof of principle that this could be done. But they’re just the beginning. We’re investigating a whole slew of approaches that may successfully target these tumors — perhaps in ways that are ultimately less toxic to patients, both in the short term and the long term. Have had two bouts of triple negative cancer in one breast. Recently had genetic testing and have a mutation PALB2. Have no guidelines at this time. Surgery to remove cancerous breast was in 2014 by Dr.Mary Gemignani. Dear Patricia, for more information about our breast cancer screening guidelines, please visit https://www.mskcc.org/cancer-care/types/breast/screening/screening-guid…. 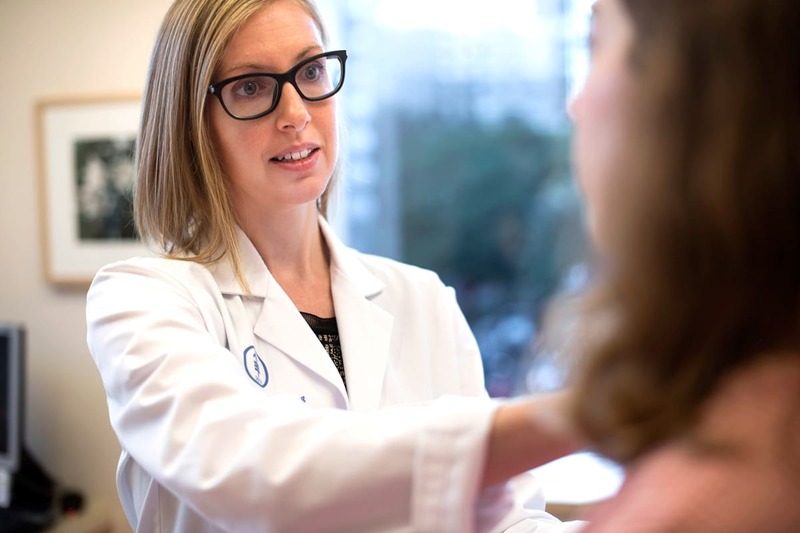 You may also be interested in learning more about our RISE program, which helps women at increased risk of breast cancer shape personalized long-term-surveillance plans: https://www.mskcc.org/cancer-care/risk-assessment-screening/screening/i…. To make an appointment, call 646-497-9064.